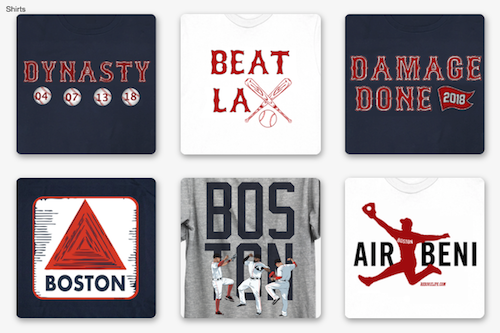 Although the Red Sox are not in the playoffs, Sox fans still have reasons to watch. First off, playoff baseball has a lot of drama. It is always interesting to see what new teams emerge and try to capture a World Series title. If that does not interest you, then there is still another reason tune in. There are many free agents that are playing in the ALCS that could end up on the Red Sox. James Shields is an obvious player to watch. Shields could be the ace to replace Lester in the rotation. He should interest the Red Sox right off the bat because he is one of the best starters on the market. 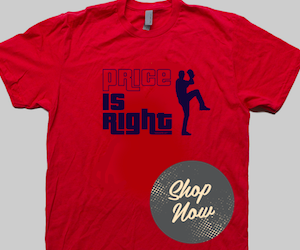 His contract will also be shorter and cheaper than Lester and Scherzer's new contracts. Shields' ERA the past 4 years has been 3.52 or under. He has also made at least 31 starts in every year since 2007. Shields' durability and his consistency are big reasons why the Red Sox will be interested. Shields is the player I will be watching the closest. Mostly because he has not really lived up to his nickname of "Big Game James". Don't get me wrong, I want Shields on this staff, but his track record in big games is not the best. In his postseason career, he is 3-4 with an ERA of 4.96. Does that warrant the nickname "Big Game James"? 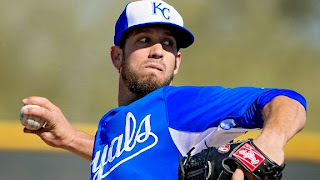 I would like to see Shields pitch well and get a win (or two) in the ALCS. Sox fans should want to see if he really would be a big game pitcher for Boston if he signed here. Another player to watch in the ALCS is Andrew Miller. Miller, a former Red Sox, has excelled in Baltimore. He has pitched 3.1 scoreless playoff innings for the Orioles. He also had an otherworldly ERA of 1.35 in his 23 regular season games in Baltimore. Although he is with a division rival, I would like to see Miller do well and I hope other Sox fans would as well. Miller did his job while in Boston and he really turned out to be an important cog in the bullpen throughout his time here. Plus, the trade of Miller got the Red Sox a very good minor league pitcher in Eduardo Rodriguez. Miller is also a fascinating player to watch because there is a possibility that he returns to Boston. Miller had nothing but good things to say about his time with the Red Sox and even said he would be open to a return. The Red Sox may be interested in him as well. If they buy out the last year of Craig Breslow's deal for $100K, in all likelihood, they will be searching for a left hander. Miller could fit the bill. Wade Davis is someone else to keep an eye on. Davis could and should be targeted by the Red Sox this offseason. He is very underrated in the Kansas City bullpen. In 71 games this year, Davis had an ERA of 1.00. In 54 games in 2012, also as a reliever, his ERA was 2.43. In his career as a starter, Davis had posted ERA's of 4.07, 4.45, and 5.32. Davis is clearly better as a reliever and is now thriving in his current role. He has also shined in the postseason as well. He is sporting a 2.08 ERA so far. In an outstanding Kansas City bullpen, Davis was sneaky good this year. He flies under the radar compared to the other studs in the bullpen like Brandon Finnegan, Kelvin Herrera, and Greg Holland. However, he is almost as good, if not better. The Red Sox should make signing him a priority this offseason. Even so, there is a snag with Davis. The Royals hold a team option of $7 million for next year. There is still the possibility that he does not become a free agent and returns to Kansas City. Yet, this is a lot to pay for one relief pitcher, especially if he is not the closer. In a bullpen filled with other great pitchers, Davis may be expendable. If he is, the Red Sox should pounce. Got another player to watch in the ALCS?